The curriculum samples shown here represent critical topics we address at each grade level. An asterisk (*) indicates program elements covered at Mathnasium that are not typically covered in most school programs. Count by 10s, 100s, and 1,000s. Say, "23 ones is the same as 2 tens and 3 ones," for all whole numbers to 1,000. Identify ones, tens, hundreds, and thousands place. Read and write whole numbers up to 1,000 in standard form. Rounding off: "Is 271 closer to 200 or to 300?" for appropriate numbers. "How many 10s are there in 120?" "If two pieces of candy cost five cents, how much will six pieces of candy cost?" "Recyclers pay 5¢ for every 2 cans. How many cans are needed to get 25¢? How much are 8 cans worth?" Count by 2, 3, 4, 5, 10, 11, 15, 20, 25, and 50 (first 13 multiples of each number starting at 0). Count by 6, 7, 8, 9, 12 (first 13 multiples of each number starting at 0). Count by 15, 20, 25, and 50 (first 13 multiples of each number). Count by 1/2s, 1/4s, 1/3s, 11/2s, 21/2s. "How many 20s/25s/50s are there in 200?" Explain the concept and use of fact families in subtraction. Subtract 10 from any number up to 1,000. Tell whether a given proper fraction is greater than, less than, or equal to 1/2. Tell whether a given proper or improper fraction is greater than, less than, or equal to one whole (1). Explain why 1/2 and 2/4 are the same amount and draw pictures demonstrating knowledge of equivalent fractions in general. Draw and interpret pictures of given proper and improper fractions and mixed numbers. "If three candies cost 25¢, how many candies can you buy for $1.00?" "If three candies cost 25¢, how much does it cost to buy a total of 18 candies?" Round off any whole number to any place up to millions. "The whole is equal to the sum of its parts." "Any part equals the whole minus the other parts." Solve two- and three-step word problems using two or more operations. Break down the problem into simpler parts. Apply the "easier number" method. "On a certain map, 3 inches represents 500 miles. How many miles does 18 inches represent?" Arrange a group of whole numbers from 0 to 1,000 in order. Arrange a group of fractions containing 0, 1, 1/2, 1/4, 3/4, 5/8, 3/8, 9/10. Arrange a group of decimal fractions containing 0.3, 1, 0, 0.09, 1.2, 0.67. Find least common multiple (LCM). Find greatest common factor (GCF). Reduce fractions to lowest terms. Rewrite improper fractions as mixed numbers. Rewrite mixed numbers as improper fractions. 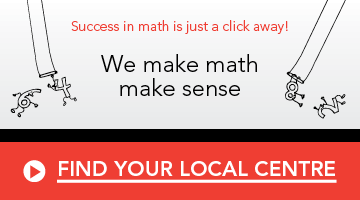 Learn more about our elementary school math program. Try our interactive quizzes to see how your skills stack up!